Shelley cartoons: Would you like heart disease with that? Would you like heart disease with that? Cigarettes in Melbourne will now be sold sans branding. 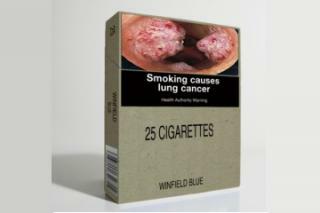 Just a box with a little photo of a devasted lung and the words "Smoking causes lung cancer". Thankyou Delwyn, your timing is impeccable. The following conversation was had 10 seconds before your comment flashed up. Me: "Would you like to read my last few posts?" Me: "What did you think?" Husband: Grunt. It should be "Storm fan, not Storms fan". Me: "Can you read the one I just wrote? Me: "You love Sudoku more then you love meeeeee?" Me: curl up in the foetal position, rock quietly. Enter: DELWYN!!!! hooray! As I said, fantastic timing. 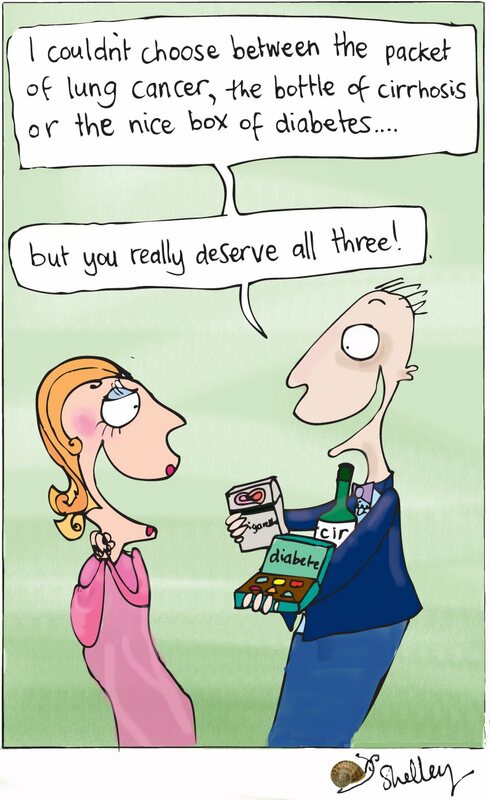 Some think they know how to cure a heart attack with folk medicine. They mix this or that together, or take capsules of some supplement. How to see your aura?